This might be your first Memorial Weekend alone. Without a picnic. Worse, without your husband. And the world spins on like a merry-go-round, mechanical and unfeeling. Caring more about the weather and the price of gas than paying respects. But there will be pockets of people who "get it." And their ceremonies and memorials on Monday will be meant to tell you that an entire nation feels your grief in one way or another. It's just that big. You are not alone. Yes! As I am now a military mom whose Soldier is deployed, I realize what sacrifices are made for the freedoms of this country that we should be holding dear. Remember the fallen and pray for their families and pray for those who are still in dangerous places and the fact that their are some who are STILL paying the ultimate price. Thank you to my late father-in-law, a Green Beret, who served Korea and Viet Nam, where he was wounded. A a huge thanks to my Soldier serving overseas. As an Army brat of a career officer, sister to two Air Force brothers, girlfriend to a former Navy sweetheart, career VA nurse, and widow of an Army veteran (Vietnam), I have respected and honored veterans all my life. 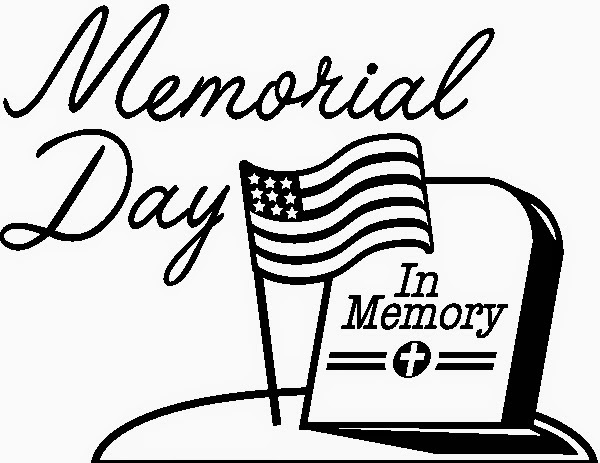 Flag Day, Memorial Day, Fourth of July, and Veteran's Day are celebrated days of remembrance in my family. Your local VA Hospital has many veterans as inpatients during these dates that feel alone and would be happy to welcome a visitor. Their service stories are always interesting when asked, especially from the older vets. One of my favorite patients was a former POW of WWII. He suffered greatly, yet was one of the most delightful men I had the pleasure to know. Thanks to both you ladies, for supporting your military guys in so many ways. I know its hard when they're away. Yet, how important to remember with them when they're home---through all of their life. They pay a high price, and yet keep giving and giving. God bless them and you, and keep us safe.